A good leader is perhaps the most important asset of any business or organization. Honoring and recognizing these leaders is only natural. A striking sculpture from CRYSTAL WORLD, "Leader" is handcrafted from the finest optical crystal. 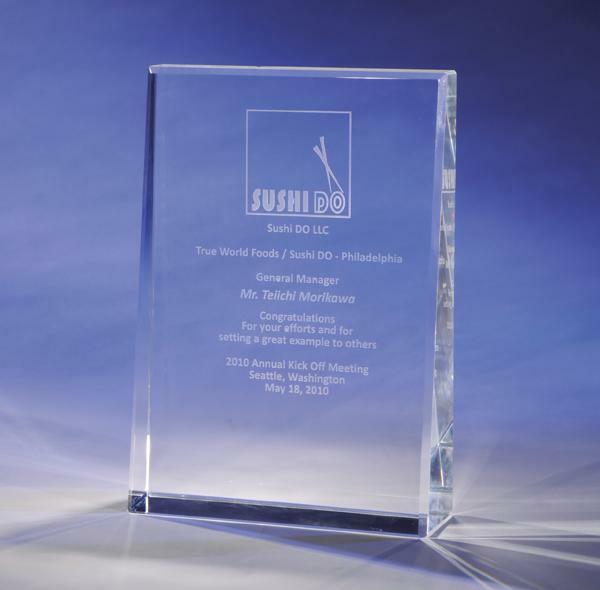 "Leader" will make an ideal recognition, incentive or sales leader award, corporate, executive or retirement gift. Ideal for the financial services, health, manufacturing, transportation, retail, IT or sales industries; sports, performing arts or entertainment fields; or the non-profit arena. 5" x 1 1/2" x 7"
Etching area: 4" x 6"